Lou Von Thaer, who has been CEO of DynCorp International since July 2015, will join Columbus, Ohio-based nonprofit research and development company Battelle as president and CEO on Oct. 1. He will succeed the retiring Jeff Wadsworth, who will continue to provide assistance during the transition period and perform consulting work on some projects through the end of 2017, Battelle said Friday. Von Thaer “is an innovative problem solver who brings nearly 35 years of engineering and management experience in technology development and deployment to solve complex national security and societal issues,” Wadsworth said. Prior to DynCorp, Von Thaer spent four years at Leidos (NYSE: LDOS) as president of the $4 billion national security sector business focused on cybersecurity, logistics, intelligence, surveillance and reconnaissance platforms. 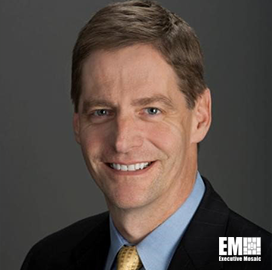 He worked for 16 years at General Dynamics (NYSE: GD) and held senior leadership roles such president and corporate vice president of the defense contractor’s advanced information systems business. He started his career at AT&T Bell Laboratories, where he held management and engineering roles for more than a decade. Von Thaer, an inductee into Executive Mosaic‘s Wash100 for 2017, is a member of the Defense Science Board and a trustee at Kansas State University.